Brrrrrr, it is cold outside in much of the U.S., in many places life-threateningly so. Yet, wherever you live, now is the perfect time to start planning your next workers’ garden and planting seeds of rearrangement. Even if you do not currently have affordable and safe access to soil and space for one, because of neoliberal-caused migration, wage slavery, unemployment, overcrowded living conditions, guns, asphalt, concrete, and broken glass where children need to play, the drug war being fought in your otherwise forgotten neighborhood, colonialism, neocolonialist land-grabbing, bankruptcy, repossession, or other conditions of despair, land reform may be the perfect solution, but it will not happen without Niebuhrian coercion. With the workers’ gardens land reform could make possible would come the question of what to grow and when. 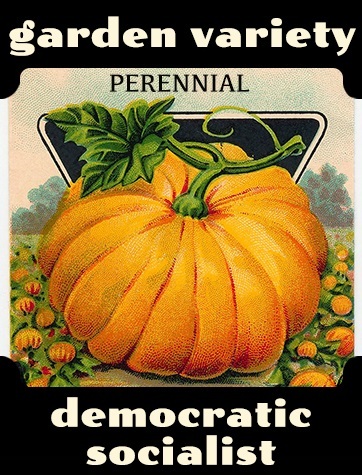 Unless you live in the Deep South where one can have a thriving winter garden (including some sustainable “perennial” vegetables requiring little or no effort), after the fall harvest and during the winter may be a slow time as far as gardening goes, good for cover crops or otherwise renewing the soil we all depend upon for survival, but not a productive time as far as yield. Still, when spring comes, and sooner or later it will, you will want to have thought through how you can best steward your soil and space. I want to tell you something. There are these things called seeds. You put them in the ground and food comes up. I don’t want you to forget that. I have not. I went by his little patch of land later that day, and I saw what he grew to supplement their Social Security and Medicare. I am sure he is long dead now, but also sure that he lived a lot longer than he otherwise would have because of the New Deal, the Great Society, and being able and willing to work in the soil for some of his food. I soon have to leave the Abbey. It is beautiful. Best place I have ever been. But along with seeds of contemplation were first planted seeds of rearrangement, and I long ago received my calling and think it means to be out there sometimes lost, caritas in actione per rationem mutationis. However, this is not about my beliefs or any beliefs at all but about our shared humanity. In fact, I just this morning got several packs of great seeds from a dear friend I have known most of my life who comes from a different spiritual tradition. She is an amazing and courageous survivor of terrible life experiences from her earliest childhood, things no human being should have to suffer. But somehow she never stopped surviving and giving of whatever she had to others. Because of her amazing kindness, thoughtfulness, generosity, talent, and creativity, I am digitally re-gifting them to you in this very post. Now is my chance to give something back, or rather, pass something on, like that old man did for me a long time ago and my friend did for me this morning. 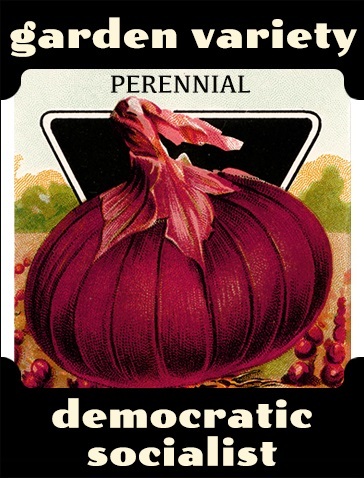 Unlike capitalist agribusiness, “we here at gardenvarietydemocraticsocialist.com” (actually, there is only one of “we,” but who’s counting) not only encourage saving and resuse of democratic socialist seeds, we give them away. 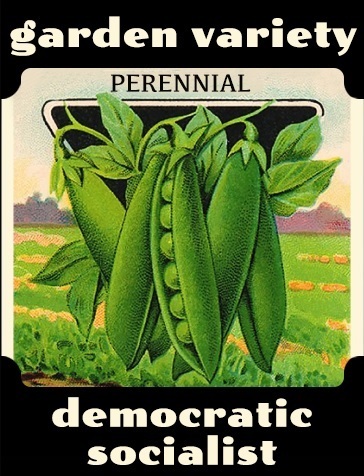 That’s right, starting today, for no, zero, nada cost, you can obtain free democratic socialist seeds. Place them in your mind and close to your heart, and perhaps, if you are brave, on a t-shirt. They may help to bring justice and consolation to those who are weak–but they can get you black-listed or worse as well, so please be careful. Here they are. Please take them and plant them wisely, which is to say as recklessly and with as much abandon as your circumstances will allow. If you have any questions or comments about how to plant them, you can post a comment or email me privately at francisconejdanovsolomin@yahoo.com. I will try to help, and I would appreciate your advice. These are magic seeds, in that I associate with them growth and strength in difficult times, and the never-ending dream of international justice and solidarity. McCarthyite teapartiers suspiciously associate them with other things. (All of their magic is good, but they can be attacked with virulently toxic socialist/commie stigma, which I have found is best addressed in a period of personal contemplative quarantine with a good book or essay by a democratic socialist such as George Orwell or Michael Harrington.) Forget what I said about waiting until spring. 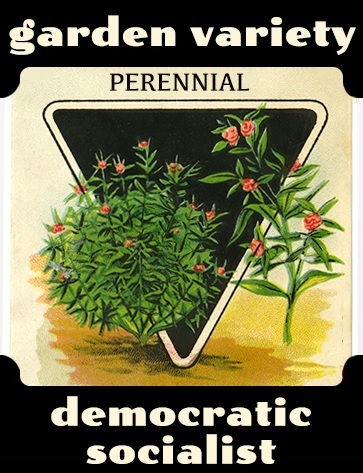 They can and should be planted any time, do not require deep tilling (you are never too old or too young, too strong or too weak, to plant them, in fact “no till” that preserves the richness of our individually variable soils is preferred), and the plants that come up will never die. They really are perennial, unlike the collard greens “I” am still growing from last winter that survived through last summer and are now doing quite well. When it comes to planting and caring for these seeds, time is always of the essence. If you delay, my hope is that they will still be there for you when you are ready. It has taken me the better part of a lifetime, but fortunately, I was able to find some seeds like them when I needed them. 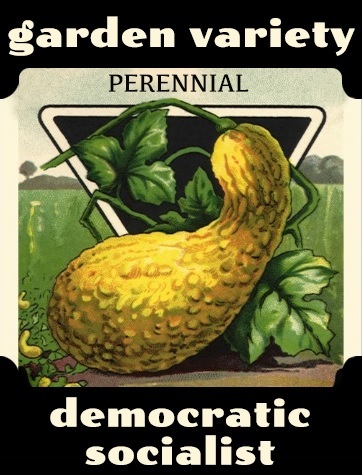 Please never give up planting good seeds and never lose hope in the good seeds that have been planted in you–and if no one has ever been there for you to plant good seeds, please be part of the worldwide socialist community and use these seeds for yourself generously and lovingly. In Pamphlet No. 1, A Winding Path to Workers’ Gardens/Un camino de bobina a jardines de trabajadores, at p. 118, I insert a photograph I took this summer of orange cherry tomatoes. (Here it is if you don’t want to slog through the pamphlet.) As of this morning, those plants are dead, but the sad little green tomatoes might yet give forth new seeds. We are resourceful here in democratic socialist land. You can do it. Planting good seeds is part of what a species-being does best. If I ordered seeds would the mail man drop them in some dirt in the neighbors yard becausei I live in an apartment surrounded by a concrete jungle and I figured that when the neighbor waters his flowers that it would also water my food crop and when its ready to harvest that a neighborsmall child could bring it into her mother to have cleaned and cut up for me as needed.